Fort Siloso is the Singapore's only preserved coastal fort which is as an important window to our colonial pasts. When the British colonized Singapore in the 1870s, the new harbor saw the expansion of activities that risked being rampaged by invaders and pirates. It was decided that a fort would be sited at the western end of a small island called Pulau Blakang Mati (presently known as Sentosa), so Fort Siloso, the first of such fortification was constructed. Today, Fort Siloso remains as Singapore’s one and only preserved coastal fortification. 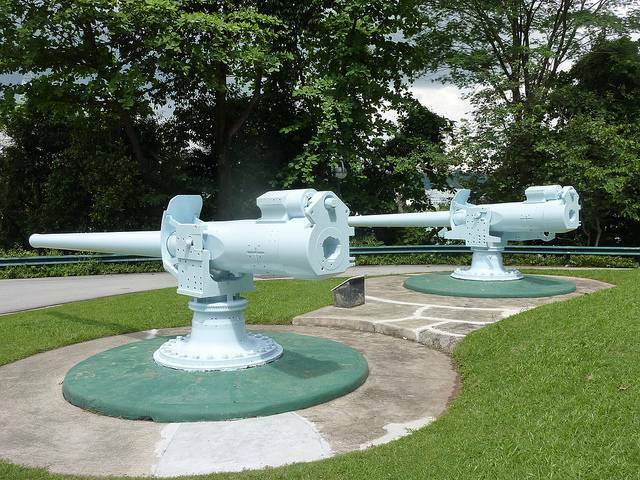 During World War II, actual 6-inch guns were deployed at Fort Siloso to defend the Singapore Harbor. However, these failed to defend Singapore from Japanese invasion, as the Japanese launched a full-force land attack, in contrary to a naval invasion that the British had anticipated.